Like most Americans, you probably have a bank account, a mortgage, an auto loan and life insurance. You had to give a lot of sensitive, personal financial information to the bank or financial services company in order to obtain these things. Now imagine if that bank or loan company sent your information out to whomever they wanted to. Thanks to the Gramm-Leach-Bliley Act of 1999 (GBLA), enacted by Congress to put safeguards on how financial services firms protect and share your personal financial data, you are protected. At Paulson & Nace, PLLC, we take privacy protection seriously. If your bank, financial service or lending institution violated the GLBA – regardless of the impact the violation has had on your life – we fight to hold the company accountable for its actions. 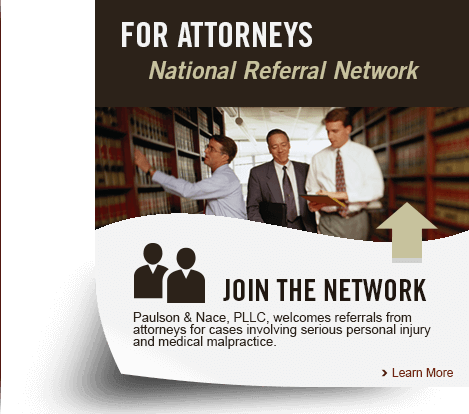 When you need a Washington, D.C. consumer protection attorney who does not back down in the face of a challenge, you want Paulson & Nace. The safeguard rule – Financial services companies and insurance companies must secure personal information for their customers through the use of computer firewalls and encryption, and procedures for safely destroying personal information. The financial privacy rule – These firms must inform you of their privacy policies and how they share your personal financial information (privacy disclosure). Opting out – These firms must give customers the option to opt-out of sharing some of their personal financial information. The GBLA is also tasked with preventing third parties from gaining access to your personal financial information through fraud, trickery, false statements, and fraudulent, lost or stolen documents. When a financial institution violates the GBLA, there are severe civil and criminal penalties that may include fines and imprisonment. If you believe that your financial privacy rights were violated by your bank, credit card company or any other financial institution, it is time to contact Paulson & Nace in Washington, D.C. At our office a consumer privacy attorney reviews your case and helps you analyze your options moving forward. In the District of Columbia, it may be possible for individuals or non-profit special interest organizations to bring private rights of action for violations of GLBA through DC’s Consumer Protection Act. If you have a case under the GBLA, our experienced trial attorneys have the skills and the resources necessary to represent to in court. You have rights and protections afforded to you when someone disseminates or uses your financial information illegally. At Paulson & Nace, PLLC we help uphold those rights so you can take back control of your life. To schedule a consultation in our Washington, D.C. office, please call 202-930-0292 or fill out our contact form.